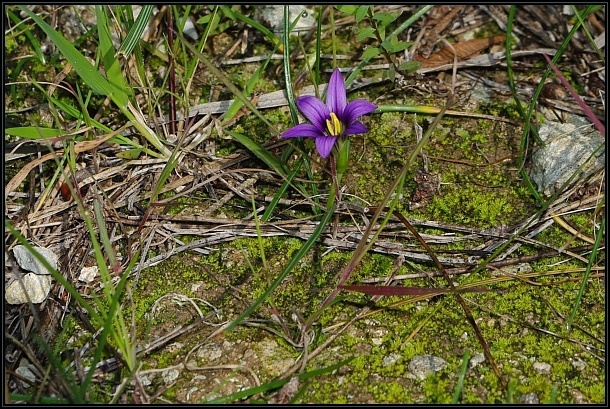 The Sand Crocus (Romulea ramiflora) is a small species of flowering plant which grows in the Mediterranean area. The leaves are thin, narrow and usually very long. The flower is relatively large, with 6 lilac-blue narrow petals. A related species is the endemic R. melitensis which is similar except for thinner petals.